This show is a collaboration of good ole hot rod builders and lovers of old classic metal. We started with the idea of wanting to do a car show that represents a time that has long past us. We want to celebrate a time when cars were built from scratch with what people had or sourced by word of mouth. No internet connections, no craigslist or Ebay. In doing this show we have created an event that we want everyone to enjoy. This Rockabilly Bonanza has a certain “old school” atmosphere to it. We want this to be more than a car show and grow into an event people look forward to and plan for a year in advance. This will grow into a show that motivates people to build or acquire old cars. With some patience and hard work it will motivate kids to stay in this hobby and help build this type of culture. 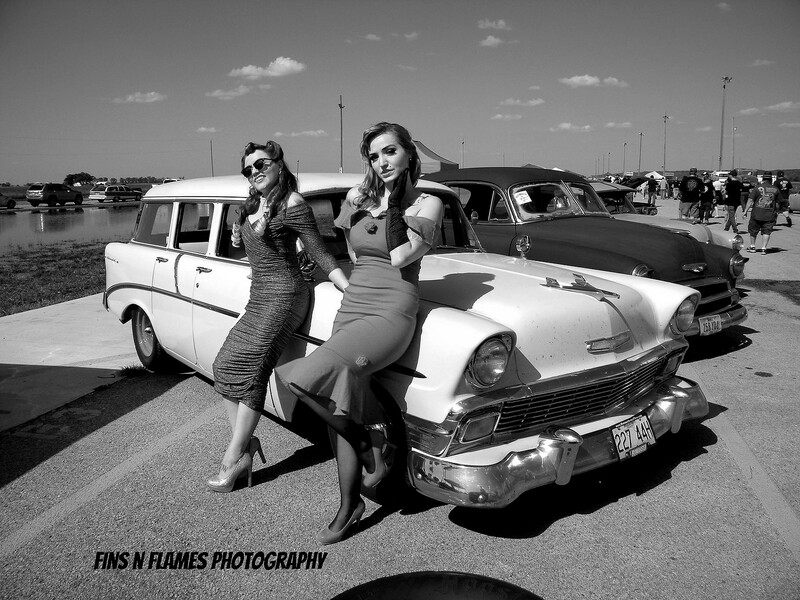 Influencing children to continue this lifestyle and keep Hot Rodding alive is important to us! This show has so much to offer. Drag Racing, Burnouts and Live music! We will have lots of events for all ages. We even have a PIE EATING contest!! Amidst all the fun we want to give back. We have all worked hard for what we have, but not all of us have given up everything for others. We know the ones in our lives who have given up more than just time, some of us know those who have lost their life and made the ultimate sacrifice for our country. We are able to do what we do every day because of these Veterans! Our organization has geared towards giving to Veterans. We have chosen to donate all proceeds to Hope for the Warriors. The particular department we are giving to is a “Warriors wish” If you are not familiar with this program look it up! See you at the I-29 Dragway!